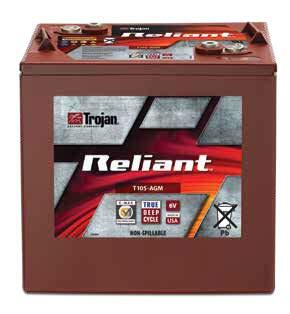 For over 90 years, Trojan Battery has been an innovator in deep-cycle battery technology. We know that building the highest performance-rated batteries doesn’t just come by chance. It requires knowing the needs of our customers. It requires knowing our competitors and the products they build. It requires ingenuity, sheer determination and an unwavering commitment to quality. Every day, golf car and electric vehicle manufacturers are integrating technological advancements requiring more powerful battery technology. Trojan’s battery designs play an essential role in enhancing your experience on and off the course by delivering a whole new class of deep-cycle technology. A legacy of manufacturing innovation and excellence has always been the cornerstone of Trojan Battery’s success in the deep-cycle battery industry. Trojan utilizes the finest materials paired with technical developments and production enhancements including Cast on Strap technology, advanced robotics and other automated technology. Trojan is dedicated to producing batteries that deliver superior performance, durability and reliability day in and day out. 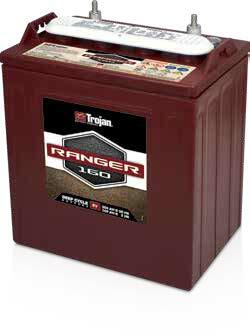 Trojan’s Ranger™ 160 battery delivers an entirely new class of deep-cycle battery technology that addresses a core golf market need – longer range. There simply is no comparable battery on the market today. delivering higher performance for long range driving requirements, as well as Trojan’s exclusive T2 Technology. Proper maintenance and periodic watering are important factors in maximizing the performance and life of Trojan deep-cycle, flooded batteries. 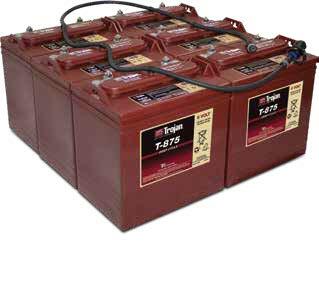 Battery maintenance can be a costly, time-consuming and messy job. With Trojan’s HydroLink™ advanced, single-point watering system, precise battery watering is made easy saving valuable time and money. Trojan’s HydroLink watering system is specifically designed to work with Trojan’s 6-volt, 8-volt and 12-volt flooded batteries* and takes the guess work out of properly watering flooded batteries. In addition, the design of the HydroLink watering system prevents direct access to a battery’s electrolyte and reduces acid splash, enhancing safety during the battery watering process. With a simple installation of the HydroLink manifolds and tubing, the system is ready for use. Once installed, a complete set of batteries can be filled in less than 30 seconds. Trojan has developed Reliant™ AGM with C-Max Technology™ for a wide range of applications that require deep-cycling power such as golf, utility, NEV and low-speed vehicles, as well as hunting buggies. Download the full brochure, click here.